How often do you recommend iOS Swift app development to your clients? Should they migrate their existing hybrid or native app to iOS Swift? 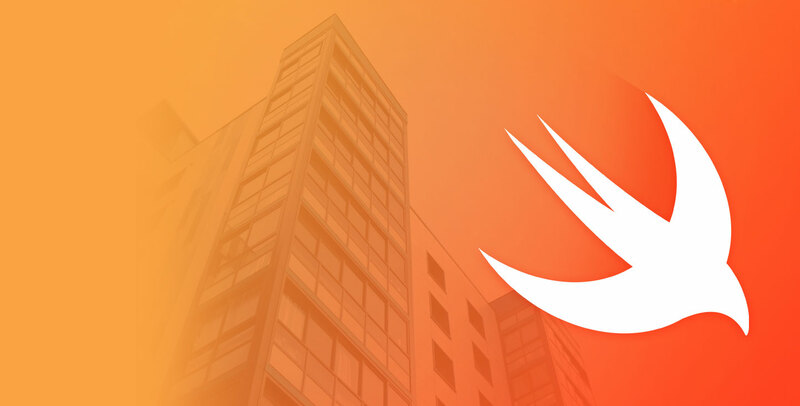 Can iOS Swift be an alternative to hybrid app development? Got stuck on the crossroads? Find your answers here. Root Info Solutions explains top reasons why company choose iOS Swift app development. iOS Swift is the only language that offers some challenge to the arithmetics calculation speed of C++ which is considered as the fastest in the world. Unlike Objective-C that had C language-based API, Swift has derived it from C++. In addition, the brevity of syntax and rules in Swift code helps in reducing the volume of the app build without sacrificing its functionalities. Seeing is believing, let's take an example. The previous version of Lyft had 75, 000 lines of code, but Swift migration reduced it to just 25, 000 keeping its overall worth intact. The reduction in code volume contributed towards app performance as the revised application became lighter. Consumers are often reluctant to download apps that demand more memory. Check some apps that deliver incredible performance. For years, iPhone has been labeled as the phone of the rich and, looking at its dominance across the developed market, it's hard to disagree with the claim. So targeting the iOS platform helps your client or business to reach out to the affluent consumer base who can pay a better price for what you offer. However, capitalizing on the market, demands no mundane mobile UX or performance as consumers have high expectations. Fortunately, iOS Swift makes you build highly intuitive and engaging apps. iPhone or iPad developers can incorporate the legacy iOS apps like Phone, iMessage and Siri to their apps to make their apps more accessible. They can integrate their apps with Maps to make it more easily found by the target audiences. Enhancements of Apple Pay with sandbox testing environment is a boon to drive mobile commerce and reduce in-app checkout issues that often cause shopping cart abandonment. The coding syntax of Swift inherits most of the characteristics from the modern programming languages like Ruby and Python. Its succinct syntax design and rules help iOS developers to articulate more information in less coding. The syntax rules are written in simple English. Moreover, unlike Objective-C, where iOS developers need to maintain two types of coding files, namely, .h (for variable declaration) and .m (for class definition associated with tasks), in Swift they can manage both in a single .Swift file. This coding simplicity of Swift, makes it easier for a future iOS developer to revamp the existing coding to keep the app relevant with time. Don't let your app being imprisoned in an obsolete package. Contact us today to get your iOS app updated or upgraded. Building a fully-featured app demands involvement of multiple functions, which can be part of the operating system as well as the device. Interestingly, they must work in harmony. Swift app development makes it possible. Developers can easily call on different functions as per the requirements of the project and check instantly as how they will actually appear or work on the device. Besides leveraging the capabilities of the OS and the device, the integration of functions contribute towards creating a winning UX. Like a Word doc or other document processor that detects spelling or any other syntax errors in a word or phrase, Swift developers can spot errors while they type their syntax. Moreover, Xcode, the IDE, comes with the apt suggestions to make their work easier. This is quite helpful in long and complex projects. This ultimately helps in speeding up the development process and maintaining the quality standard. Though Swift and Xcode complement each other, developers should be in the know as what syntax to use to get the desired results. Hence, hiring the right app developer is critical to an app success. Being an open-source language with a huge community support (Over 50, 000 members), one can expect a faster and easier resolution to any incurred bugs or crashes. Your promptness and timeliness in resolving the issues or providing enhancement show that you care about your clients and their customers. This also helps in staying featured on the App Store for higher visibility and downloads. Developers in the iOS community can write a unified script build rather than discrete ones using Bash, Python or Ruby as they used to do before the commencement of Swift in 2014. This provides all contributors with a level playground, thereby, helping them to do more in less time. Migration to Swift from Objective-C and C is also supported. All libraries created in Objective-C remains valid in Swift as well. However, from Objective-C to Swift 3.0, a direct migration is not supported, rather it has to be done sequentially through Swift 2.1 and Swift 2.2. Also, Swift doesn't?t allow refactoring of code like its predecessor Objective-C. Non iOS developers building the same app targeting different platforms can collaborate efficiently as Swift has got syntax that requires less explanations and clarifications. There is another big advantage of Swift programming: it's no more limited to Apple platforms(iOS, OS X, watchOS, tvOS); instead, it can be used to build apps for Linux. There is also news that work is in progress to make Swift Android-compatible. iOS Swift brings a comprehensive Security Framework comprising several APIs that can be used to manage authorization services, certificates, keys, and trust policies, apply cryptographic encryption on messages, etc., and regulate Keychain and Randomization Services. Hope you found the information useful. For Swift app development that can make a difference in the market, contact Root Info Solutions. Unleash our 12-years of immersive technology expertise available under flexible client-engagement models. We not just build apps but make sure they serve the intended purpose and stay relevant with market dynamics.